From morning carpool to bedtime stories, running a house can be a non-stop juggling routine. Now add on the task of making healthy school lunches. Ugh. I will be the first to admit that sometimes it’s easy to cut corners. But making lunches doesn’t have to be as time consuming as it seems. There are some simple steps you can take to make healthy school lunches for your kid. If sandwiches are a staple in your child’s lunch, the easiest way to make a change is to substitute whole grain bread for white. There are many varieties out there to please even the pickiest eater. You can also substitute flour tortillas with wheat ones and white pita with whole grain. Make it fun by filling them with proteins like turkey slices and cheese. If your child prefers warm food in a thermos, you can fill it with brown rice, whole grain pasta and even oatmeal. Fruits and vegetables are great sources of nutrition. Why not make fruits and vegetables more interesting? Pack green and purple grapes together or colorful berries, dried apricots and mangos. Cut red and orange peppers into strips and send them with a fun dipping sauce like hummus or yogurt. You can also send oranges already peeled and sliced. The prettier the presentation, the higher the chances are your child will reach for it and ask for it again. Juice may seem harmless, especially since the labels read things like “packed with fruit.” But juice adds a lot of unnecessary sugar and calories to your child’s diet. Consider sending a bottle of water along with, or instead of, the juice box. Low-fat milk is also a great idea since it provides calcium and protein. Would you eat warm yogurt or cold rice? The temperature inside your child’s lunchbox is just as important as what is inside. Keep hot foods warm by sending them in a thermos. Keep cold items like cheese or hardboiled eggs cool by using ice packs. You can also use a refillable water bottle filled with ice cubes to keep things fresh, plus it will provide drinking water at the same time! Making a healthy lunch does take some thought, but the morning rush, when everyone’s trying to get out the door, isn’t the best time to get creative. Try to make a routine of packing some items the night before. Cutting up fruit, pre-making sandwiches and boiling whole grain pasta are all time-saving steps. Another good habit is to make weekly shopping lists, so you’re not stuck searching the cupboard for last-minute – and unhealthy – options. A terrific resource for healthy eating ideas for the entire family is LetsMove.gov, an initiative by First Lady Michelle Obama. The site offers healthy eating and physical activity advice for children. What kinds of tricks do you use to make easy and healthy lunches for your kids? Love the puzzle pieces! SOOOO cute. I have Star Wars cut-outs too. The kids absolutely love the Yoda one. Must be the ears. Ha! All great ideas! I pack lunches for my 1 year old to take to the playground or library. I like the idea of using the water bottle with ice cubes and water to keep things chilled. Sarah — Until I figured out the ice cube trick, we always had warm water. Yuck. Do you have any tricks for me? Having lots of color in lunches is key. Even I can get bored. 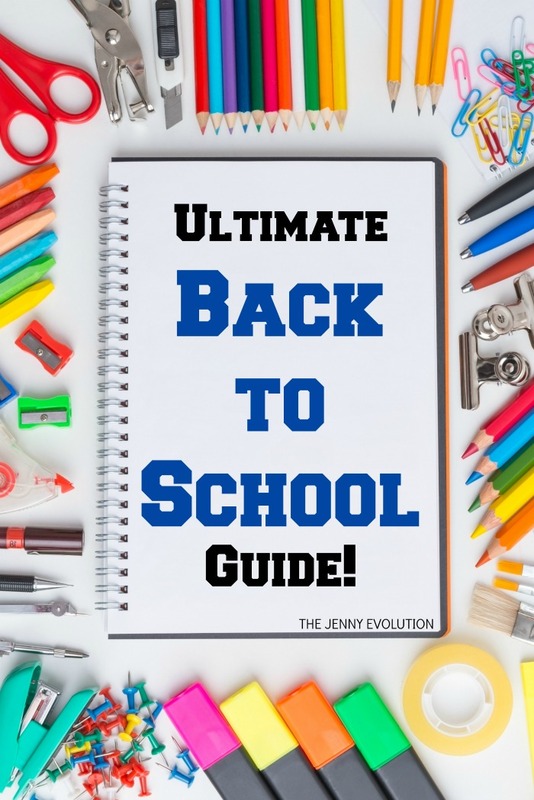 How is the beginning of school going for your family? Great tips! We switched to water as the beverage once the kids didn’t want to pack a milk anymore. This year I bought a thermos for hot foods – my son loves potstickers and my daughter likes falafel. Yesterday I packed her little pitas and the falafel and she made her own little sandwiches at lunch. She eats at 10:30, so the food was still nice and warm. I’ve never thought of Falafel. We do a lot of hummus with carrots and pita bread for dipping. If you make falafels from a mix in a mini-muffin tin, it’s really easy–and the mix is all-natural and tastes great–and they’ll keep in the refrigerator for a week, so you can make several days’ main dish at once. Great ideas, Lynda! It’s easy to get stuck in a rut. Great tips! Thanks for sharing at Friendship Friday! Glad to share on your party. Did you find one tip particularly helpful? 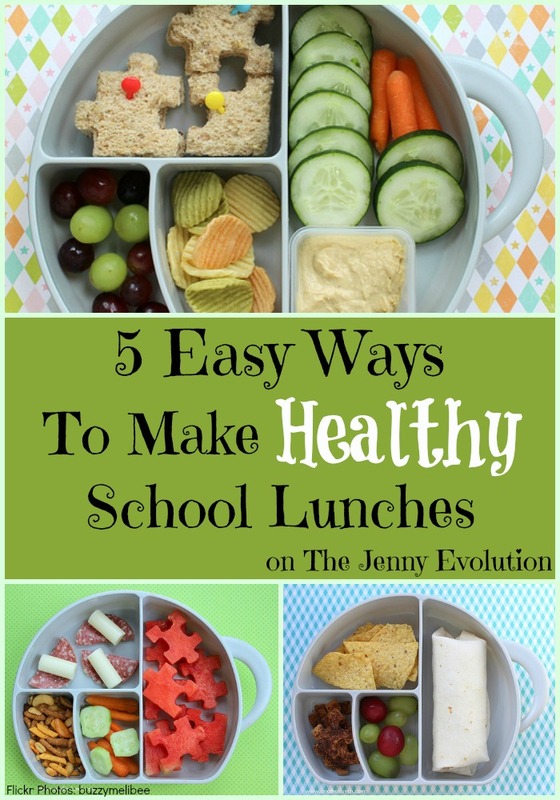 I love the cute little sectioned lunch-boxes in the picture! Should get some for myself. We picked up some from Target (not pictured). My son was so excited you would have thought I had bought him a new toy. it takes more planning and effort to pack healthy lunches but it is worth it. I see too many overweight kids these days and that is doing them a big disservice! I agree, Helga. Planning ahead is SO worth it. I hate it when my kids eat junk… they’re in a worse mood overall. One thing I have tried to make a habit of is making the lunch the night before. If I don’t, I have to rush and then that makes the morning stressful. I fall into that same problem, Kari. So I force myself to make lunch while I’m making dinner, too. Just take out two birds with one stone! My kids almost always eat whole grain bread. Once in a while someone will slip a loaf of white bread into the shopping cart though. In other news, LOVE those puzzle piece cut outs! Ha! Becca, that’s hysterical. Thanks for joining up. I’m gonna have to get me one of those puzzle piece cutter. So cute! Thank you for these tips! 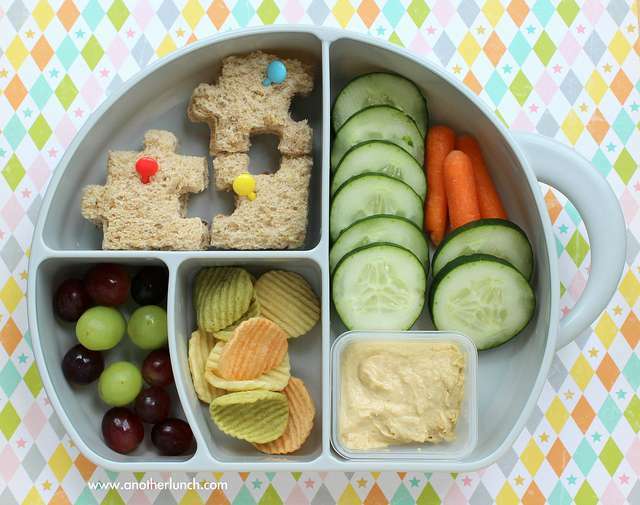 My little boy is a picky eater so I’m always on the lookout for lunchbox ideas. Pinning! 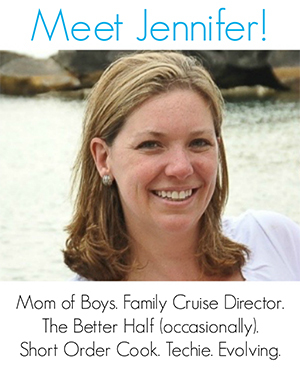 Planning ahead is SO important for me… or else my kid will just get whatever I have in the pantry! Hooray! Thanks for the feature 🙂 They’ve saved a lot of uneaten lunches. Healthy lunches are so important for learning – you’ve shared some excellent ideas here! Thank you for sharing with us at the Hearth and Soul hop. Pinning and tweeting. These are fantastic ideas! I love the colors and how you presented everything. My kids love cookie cutter sandwiches, too! Where are the containers you posted from? Do compartments leak from one to another?